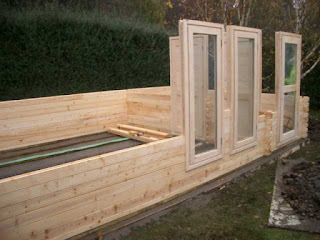 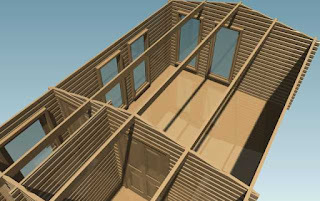 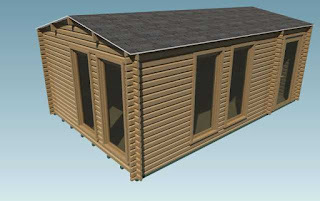 CAD images ready for approval for one of our latest garden studio installations in Nethybridge near Aviemore. 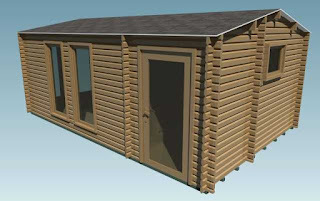 Simliar to one of the finnforest log cabin range this bespoke model was modified to create a good sized shower room and porch area for those dirty wellies. 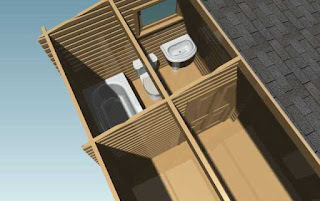 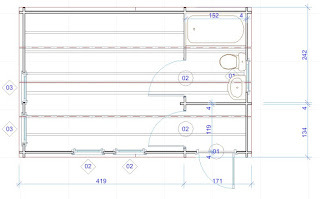 Plenty of room for a shower, wc and wash hand basin. 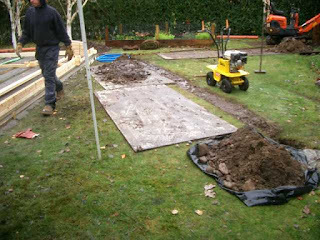 A damp start to this project. 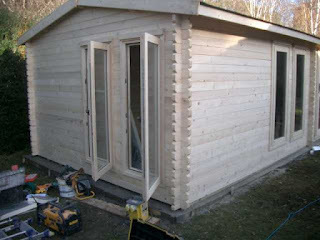 Base prepared before the cabin delivery and we're ready to build. 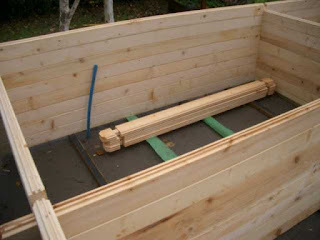 Builders were also on site making the drain connection, and also adding water supply and electrical cable. 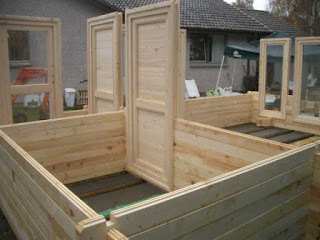 Walls part constructed and time to add the windows and doors. 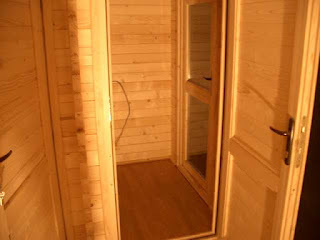 Water supply pipe placed just inside the shower room area of the cabin and set into the base to reduce the chance of freezing. 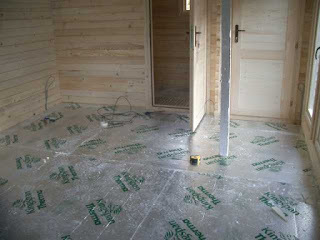 Kingspan insulation added to the floor and ceiling. 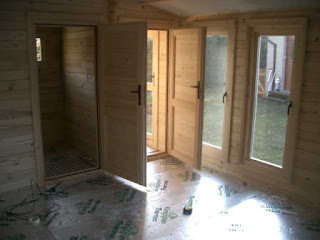 Ceiling is plasterboarded, tape and jointed then sanded ready for painting. 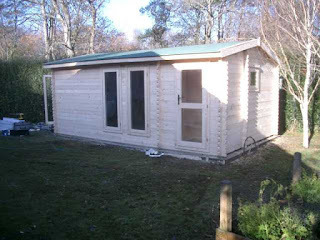 Bitumen roof tiles ready and the cabin is watertight ready to finish interior work. 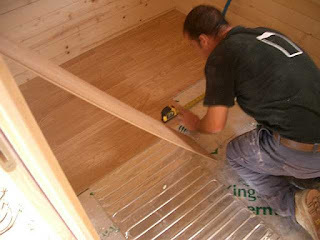 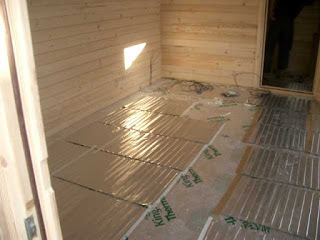 Underfloor heating for the porch. 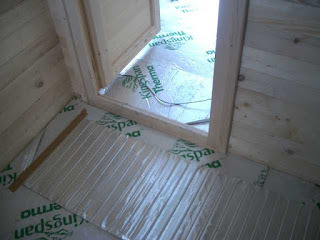 50mm Kingspan insulation for the floor prior to fitting underfloor heating and laminate. 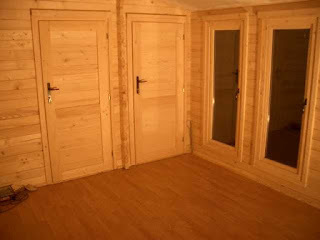 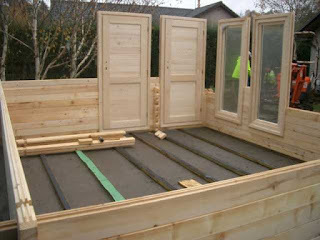 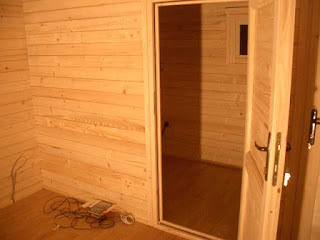 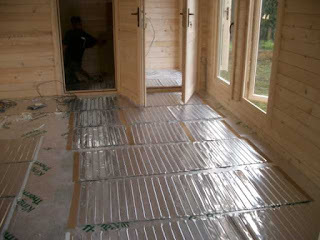 Underfloor heating added to the log cabin is controlled by a wall mounted thermostat which monitors both air temperature and floor temperature. 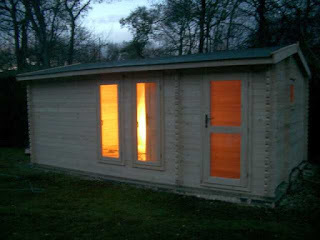 The electronic thermostat allows timed heating to meet your requirements. 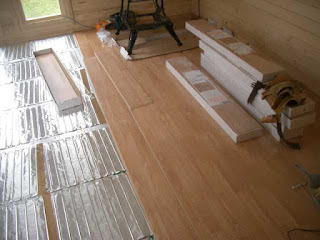 Laminate flooring works perfectly with the underfloor heating system. 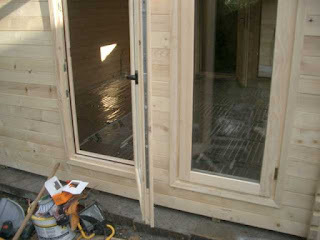 Electrics ready for connection by the electrician. 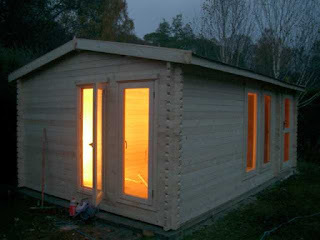 Time to tidy up as the light begins to fade. 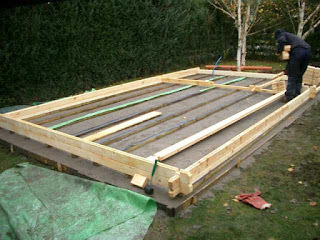 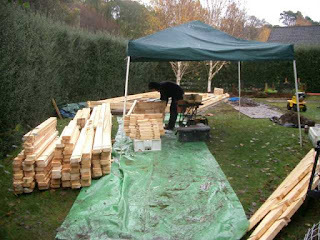 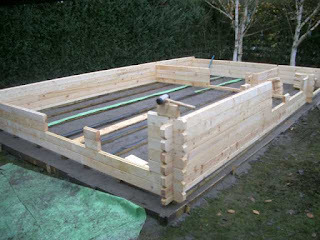 A project of this size takes 5 - 6 days including basework.